Fifteen years from the September 11 terror attacks, voters across the battleground states agree that terrorism remains a threat, but they differ markedly on how to fight it. The differences help define what they’re looking for in a commander-in-chief, not only in terms of a president’s characteristics, but in his or her overall approach to the conflict. Voters across these states do bemoan the loss of national unity that they felt in the aftermath of the terror attacks: 52 percent say that spirit has vanished now. Thirty-two percent say it’s still a little bit there and just 9 percent say it’s very much there. And only 15 percent feel America is winning the war on terror today, while 29 percent say we’re losing, and 43 percent call it a stalemate. But there’s some disagreement on this among voters: Clinton’s voters are far more likely to say winning (27 percent) than Trump’s voters, most of whom – 51 percent – feel the U.S. is losing it. The set of thirteen battleground states, as a whole, shows a one-point Clinton lead (it was two last week). There is tightening in the race in Florida – Clinton is up just two points now, at 44 percent to 42 percent, and was up five points in August – while she keeps a lead in Ohio similar to what she’s had, at 46 percent to 39 percent for Trump. It’s been the case for a while that Trump has trailed Clinton on being seen as “prepared” to be commander-in-chief, and that weighed on his poll numbers in all the states coming out of the conventions back in July. Trump continues to trail on this measure today, but has made some recent gains. 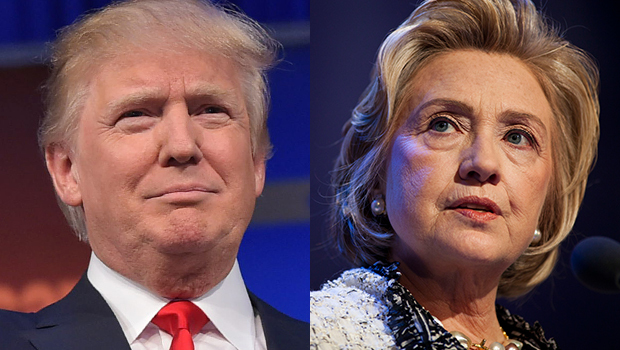 Forty percent in the battleground states say Trump is prepared, which reflects a four-point increase over the past week, and today 51 percent say Clinton is, a one point gain. But fifteen years since the tragedy, as the nation’s focus shifts to the topic of national security, this survey looks further into how voters specifically measure that preparedness – and there are big differences in what voters are looking for. The largest difference in the two candidates’ approaches comes in the speed with which voters think they’d use military force. A majority 56 percent says Trump would be too quick to use military force, compared to 39 percent who say he’d use the right approach – and a mere 5 percent who think he’d be too slow. Clinton, meanwhile, is seen as likely to be too slow (45 percent) more than to use the right approach (39 percent) and just 16 percent think she’d be too quick. Should a president look at the big picture or study all the details? Trump voters want one looking at the “big picture” - 69 percent say that’s the better way to judge a president’s foreign policy, and then “the details will work themselves out.” Clinton voters entirely disagree: 62 percent of them want a president who focuses on specifics and fine details, then they feel the big picture will work itself out. So it’s not necessarily the case that all voters are even looking for a lot of detailed knowledge in the first place. And to the extent a president needs details, many feel those details can be handled by advisers. Although 56 percent say they think Clinton knows a lot about foreign policy and 13 percent say the same of Trump; and although Trump’s own voters are more apt to describe him as knowing some, but not a lot; almost all – 94 percent – of Trump’s voters feel Trump would ultimately listen to his advisers on military and national security. Most want him to listen to his advisers and think he will – although there are 23 percent of his voters who feel a president should listen mainly to his or her own instincts, because they feel “experts” are often wrong. For most in these states, that fight against terror involves, at least in part, using military power against terrorists whenever possible – 94 percent say so, including 60 percent who’d like it to play a major part. Trump backers in particular agree – almost all of them think it should be at least part of the approach – along with immigration restrictions at home: almost all of them think that ought to play a role, including 89 percent who see such restrictions playing a major role in anti-terror policy. Most voters also see promoting human rights and tolerance around the world as a way to fight terror – nine in ten would, including six in ten who would make that a major part. For Clinton voters, that should be a particular focus, with more than nine in ten saying so, including 81 percent who would make it a major part of policy). They’d use military force, too - 92 percent would make it part - but only 44 percent would make it a major part. Neither candidate is doing well on making most voters feel safe as president: forty-two percent say Clinton would, 41 percent for Trump. Neither one has a majority saying they’d handle a crisis well: forty-eight percent think Clinton could, 43 percent Trump. Trump does far better on being seen as willing to “stand up to foreign leaders” as 64 percent say he would while 51 percent say that of her. Clinton does a bit better than Trump on negotiating with foreign leaders. Fifty-four percent say she could negotiate well, 46 percent say this of Trump. Some of this drag comes from the Republicans who continue to be wary of him, on this measure, and on many. Overall Trump’s polling numbers continue to be hurt a bit by not having as much support from his own party as Clinton does from hers.